Borno state House of Assembly suspends seating for one-month after Senator Ndume allegedly slapped one of the lawmakers – Royal Times of Nigeria. 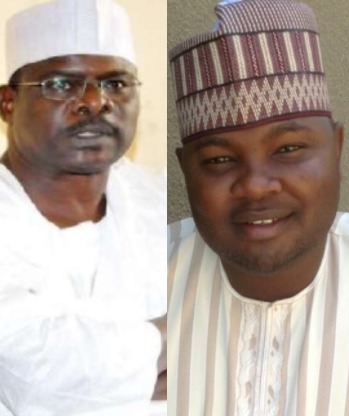 Members of the Borno state House of Assembly have announced the suspension of plenary for one month after Senator Ali Ndume slapped a member of the state House of Assembly, Habu bu Dala Aji, during an argument at a political meeting. A statement released by the Speaker of the Assembly, Abdulkareem Lawan yesterday, said Aji was slapped by Ndume at his residence when he was trying to settle a misunderstanding between him and his electorate from Damboa. The Speaker also alleged that during the settlement, some hoodlums also attacked and beat up a member of the house, Mohammed Saleh Baga, who went into a coma and was hospitalized for three months. Part of the statement reads, ‘Following the incidents, the House resolved that all sponsors and those who attacked Saleh Banga should be arrested and arraigned before a court of law by security agencies. That the inspector general of police (IGP) and Senate President are to investigate the action of Senator Ndume’s slapping and humiliation of Hon. Habu Dala Aji. That the Kwaya-Kusar local council secretary should be relieved of her position as Secretary to the local Government’.